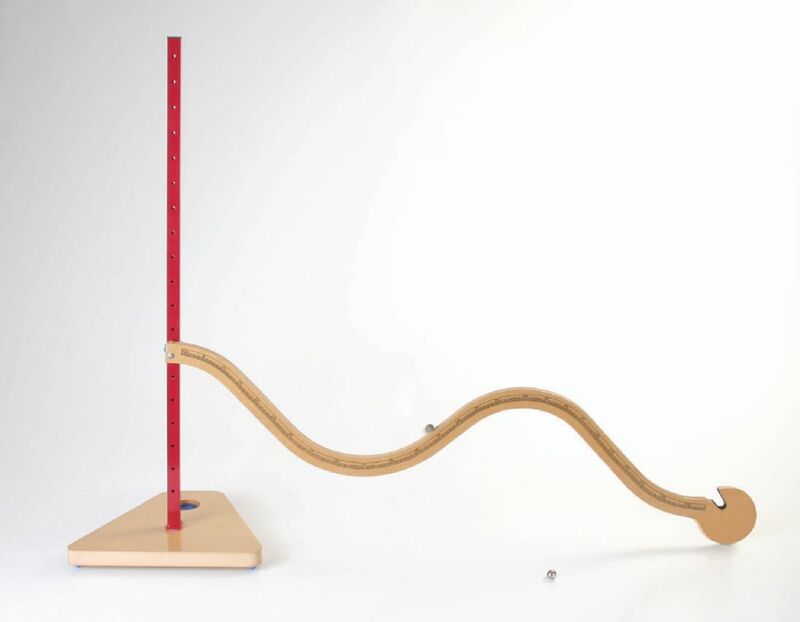 Mechanical energy, friction, and inertia concepts are introduced with quantifiable determinations. A marble starts on one hill and gains speed on the way down, then slows down while going up the other hill. Challenge students to find the spot where the marble can roll to the top of the other hill and then stop. Students can investigate potential energy changing to kinetic energy using the increments on the side of the track or by using the Photogate System. 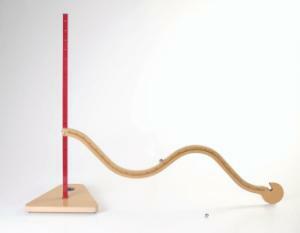 Includes a 1.3 m long track, mounting srew, instructions, and activity guide. Size: 48 1/2"L x 14"W x 1 3/4"H. Note: Requires the Fun Stand and the Photogate System.